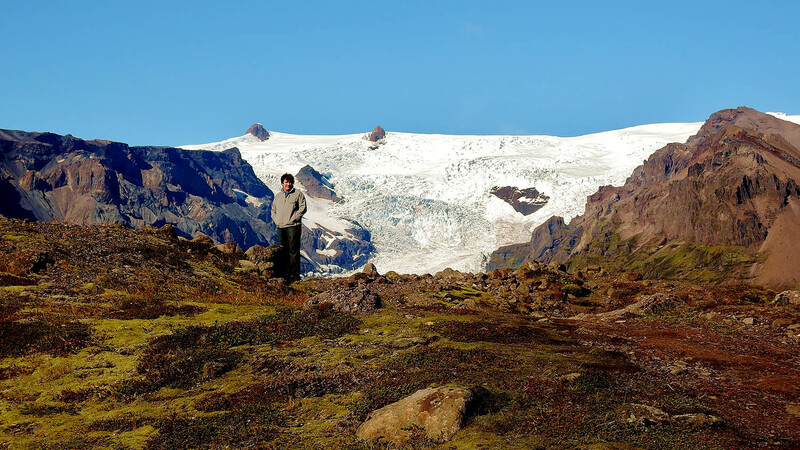 I am currently re-writing this 'Iceland' page because the old version of my website malfunctioned, and I am wondering to myself If I have ever been anywhere as unbelievably beautiful. 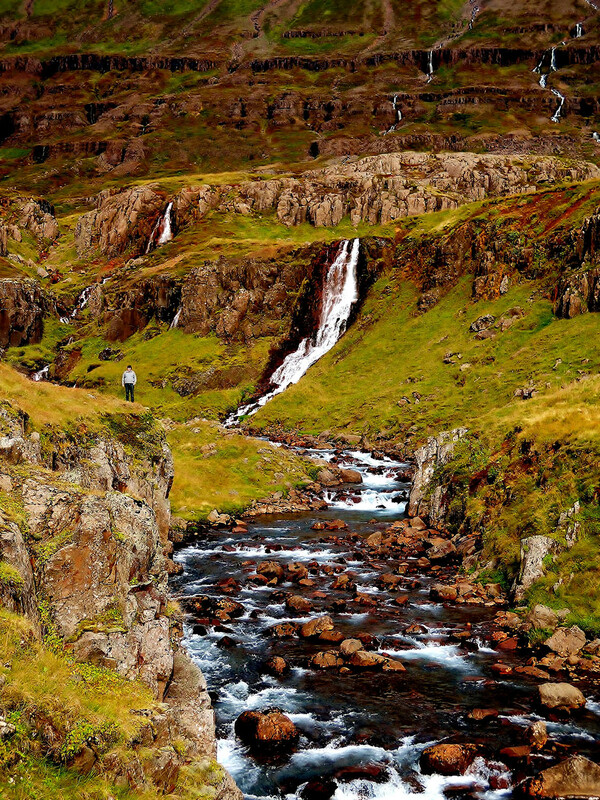 The Grand Canyon is breathtaking, Yosemite is surreal, the Himalayas are magnificent, but there is just something different about Iceland. 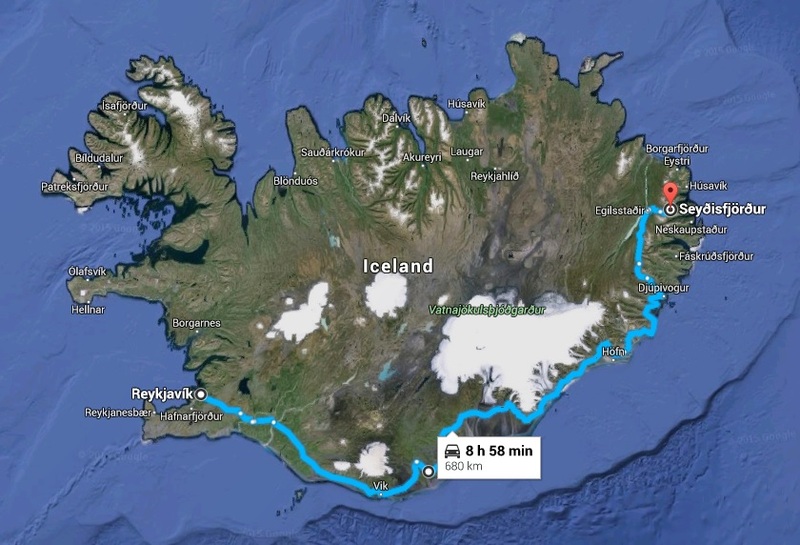 I Think the real difference here, is that once you are out of the bustling capitol city of Reykjavik, once you are a couple hundred miles into the wilderness, parked on the side of the single-lane road that wraps around the coast of the country, you are alone. It is just you, and the Earth. There are no cell phone towers, there are no traffic lights, there is no traffic. There is no internet, there is no news, there are no status updates. 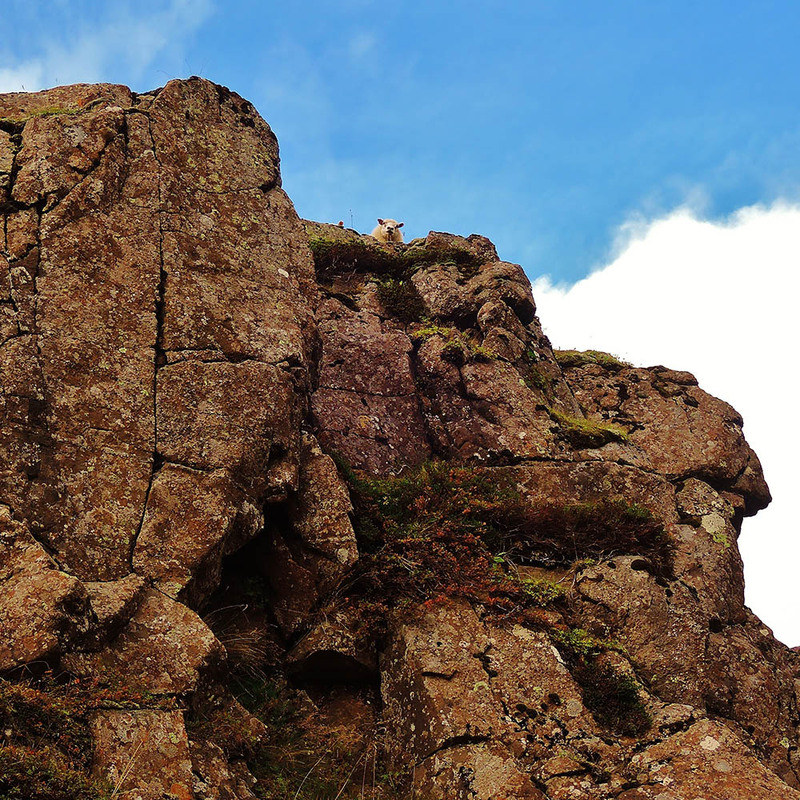 It is just you, the rocks below your feet, and the sky above your head. 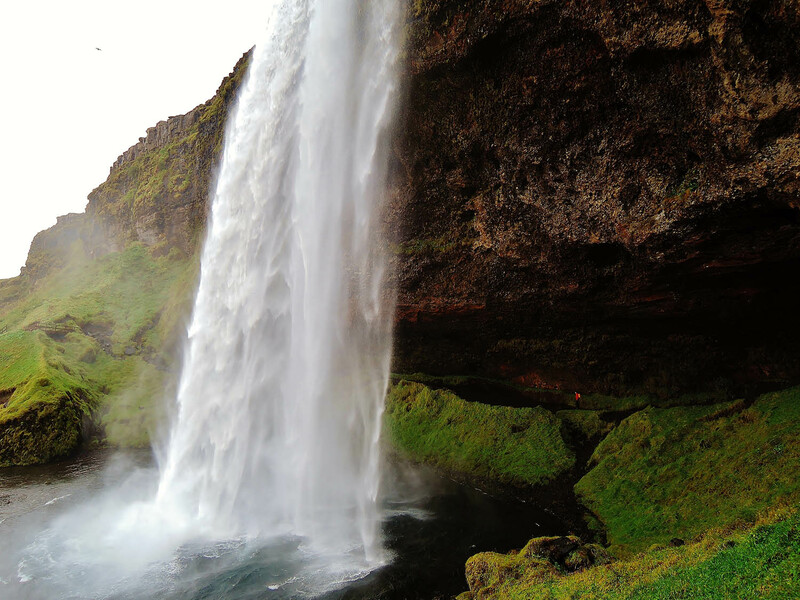 I think that is what truly makes Iceland one of the best places on the planet. My friend Colin and I took a week long trip to this country about a year back, and we still reminisce like it was a divine dream we had. 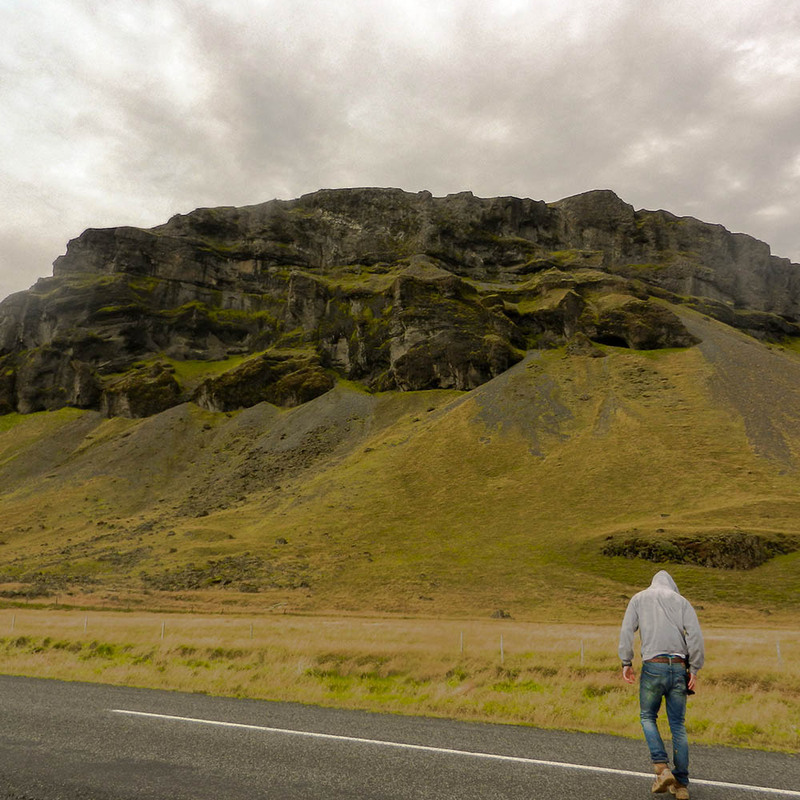 We arrived in Reykjavik, rented a car, and headed for the Eastern horizon. The things we saw and the life we experienced along the way have solidified this journey as one of the best weeks of our lives. We landed at the Reykjavik international airport, took a bus into the city, arrived at a hostel, it was raining, it was chilly, and we were kinda depressed. 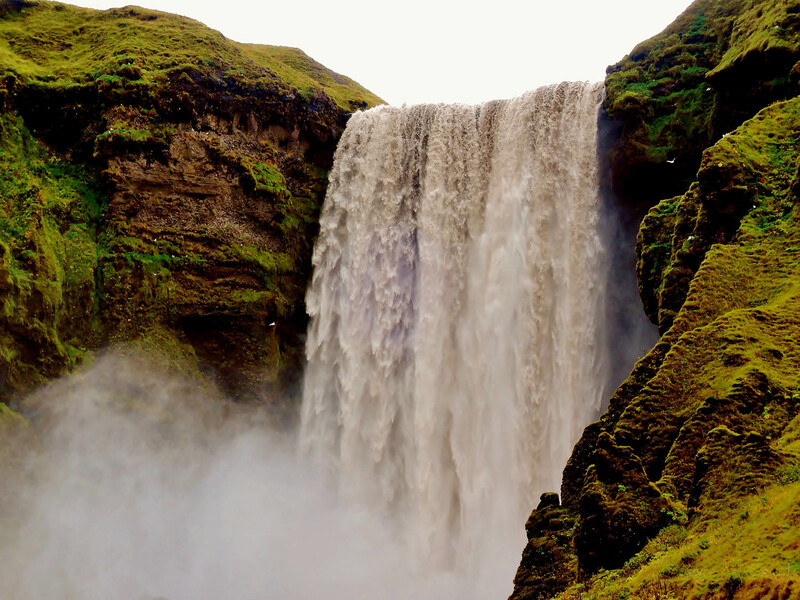 Reykjavik, although a pretty, nice medium-sized city, was after all just that. It was a city. Not all too different from a city somewhere in America or Europe. We could see some cool mountains/hills off in the foggy distance but other than that, everything was pretty normal. We were contemplating cutting our trip short to save some money and because we weren't sure what we would do here for 5 days. Then we remembered why we came here in the first place, that 'Walter Mitty' movie. I got on the hostel wifi, looked up where that movie was filmed, and it was settled, we would follow in the footsteps of Walter. We walked down the street to some car rental place, rented a super tiny, three cylinder car, and took off. 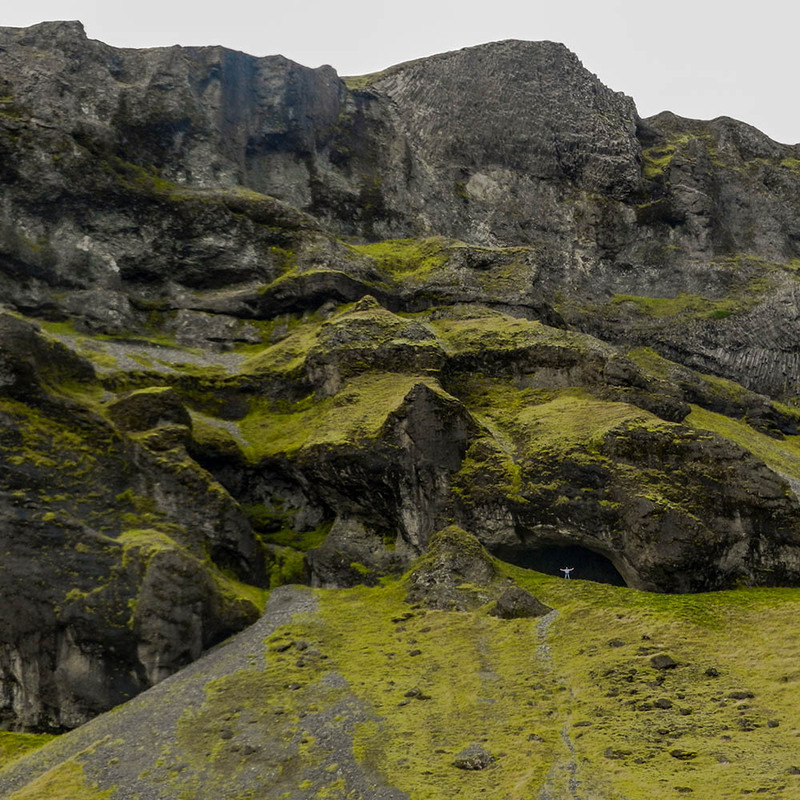 The best thing about Iceland is that you can find an adventure in every direction. 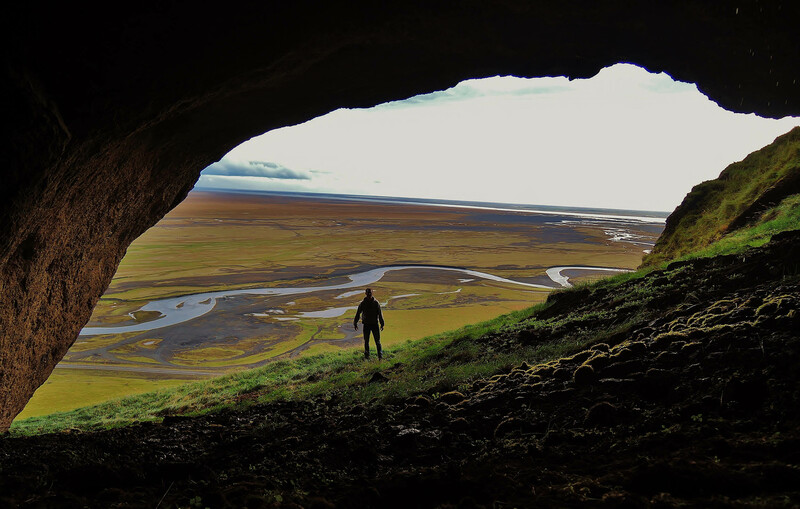 Take a step off the side of the road, climb a mountain, find a cave no one has ever stepped foot in. 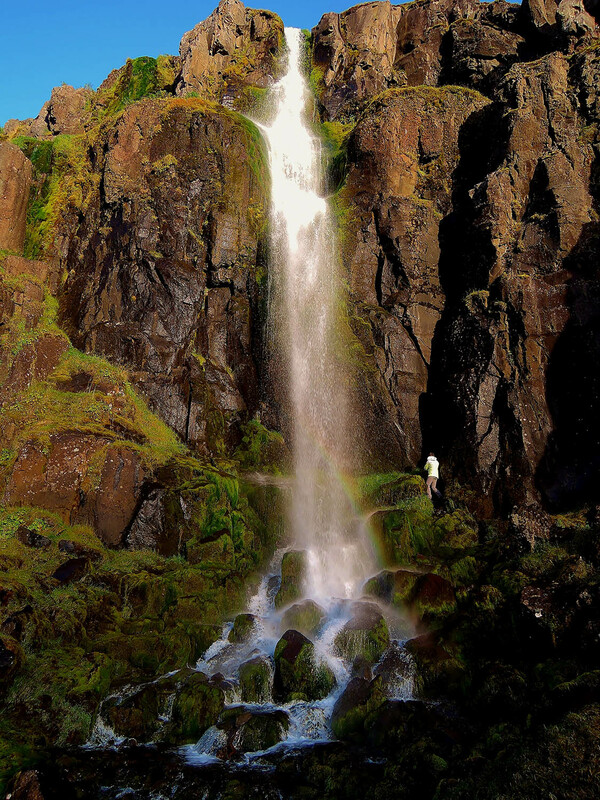 Take a walk 50 feet behind your hostel, find a rainbow covered waterfall. 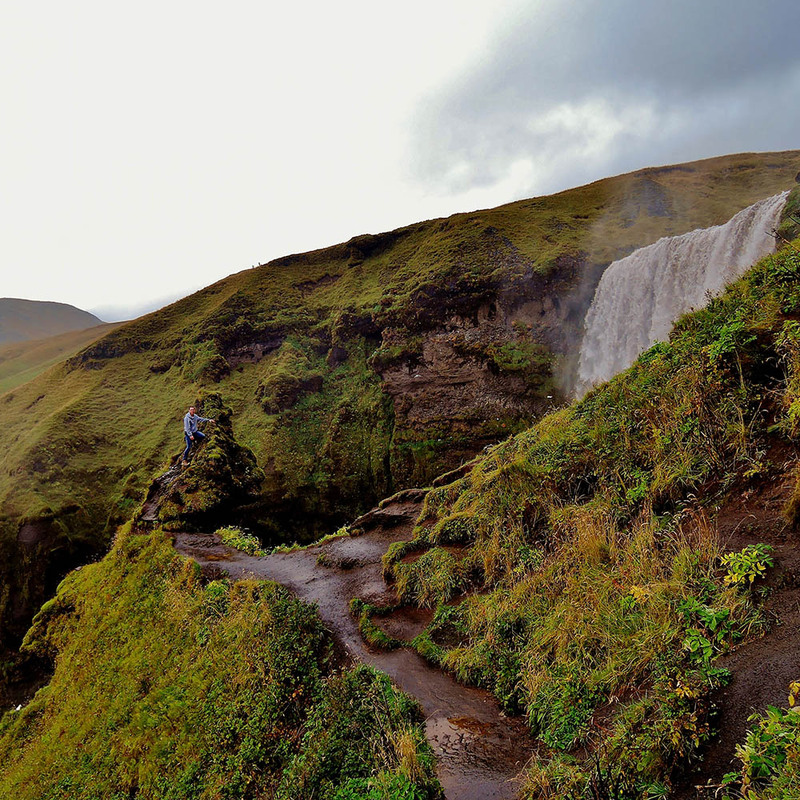 Walk down a path reserved for un-fenced sheep and find another waterfall or mountain to climb. The opportunities are endless in this unmarked, un-trodden wilderness. 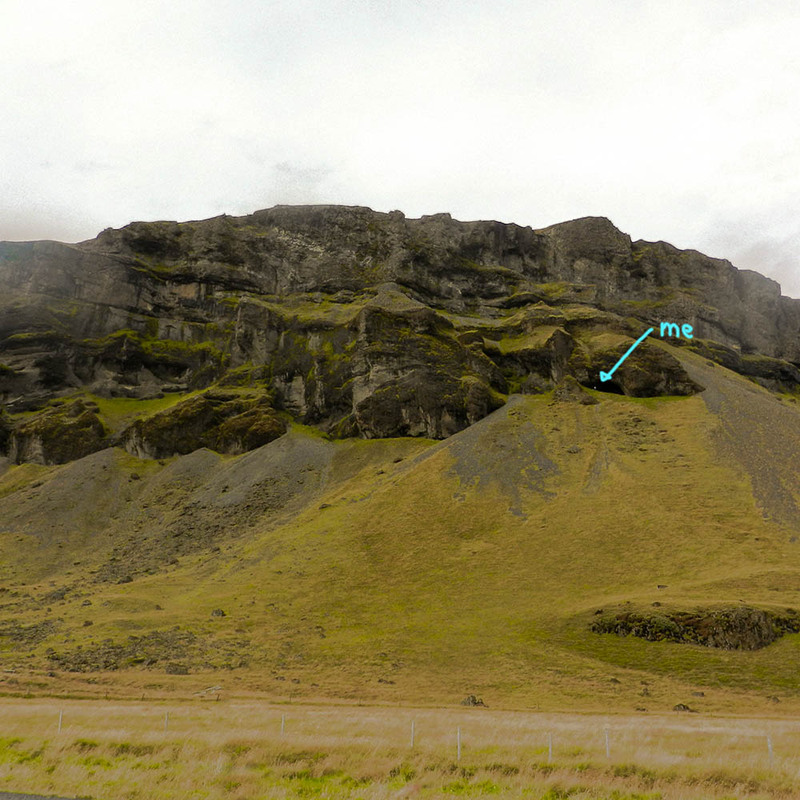 What you might see at some of the greatest national parks in America, is just "the side of the road" here in Iceland. 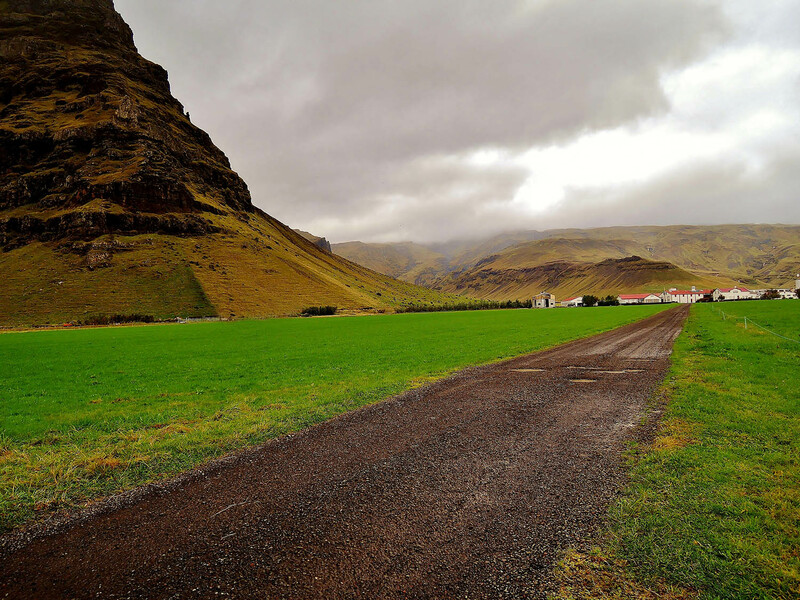 The road is on the outskirts of the small village of Seyðisfjörður. Seyðisfjörður, although very hard to pronounce, was one of the highlights of our trip, and probably the coolest village I've ever been to. Massive mountains tower over the town on either side, almost like a natural fence, blocking this village from the outside world. 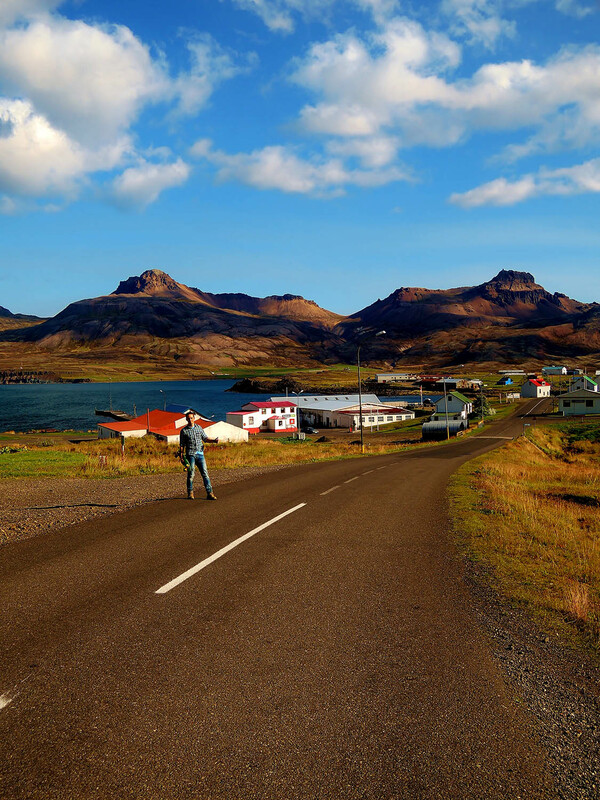 The only way to visit is via the giant ferry parked in the harbor that makes its way to and from Norway, or the steep winding road that you long-boarded in on. With population of about 600, there are only a few houses, almost no tourists, and unlimited opportunities for adventure. Me and Colin climbed waterfalls, hiked up mountains, and hung out with sheep 'til our hearts content. Yes, very. One of the most expensive places I've been, it rivals Zurich. Once you convert liters to gallons, and Icelandic Krona to USD, gas was $8 per gallon... A single box of spaghetti noodles from the grocery store was $4. Suffice to say, we didn't eat that much on the trip. Though we did still drive fast... it's hard to resist on those amazing roads. 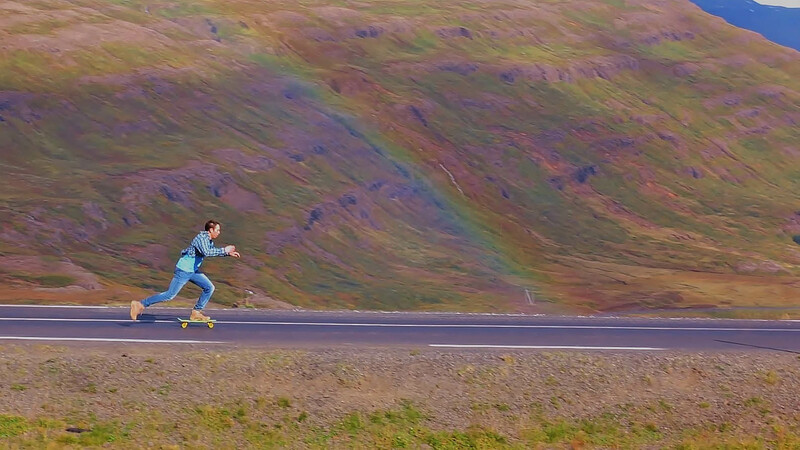 Where was the long board scene filmed in "The Secret Life of Walter Mitty?" 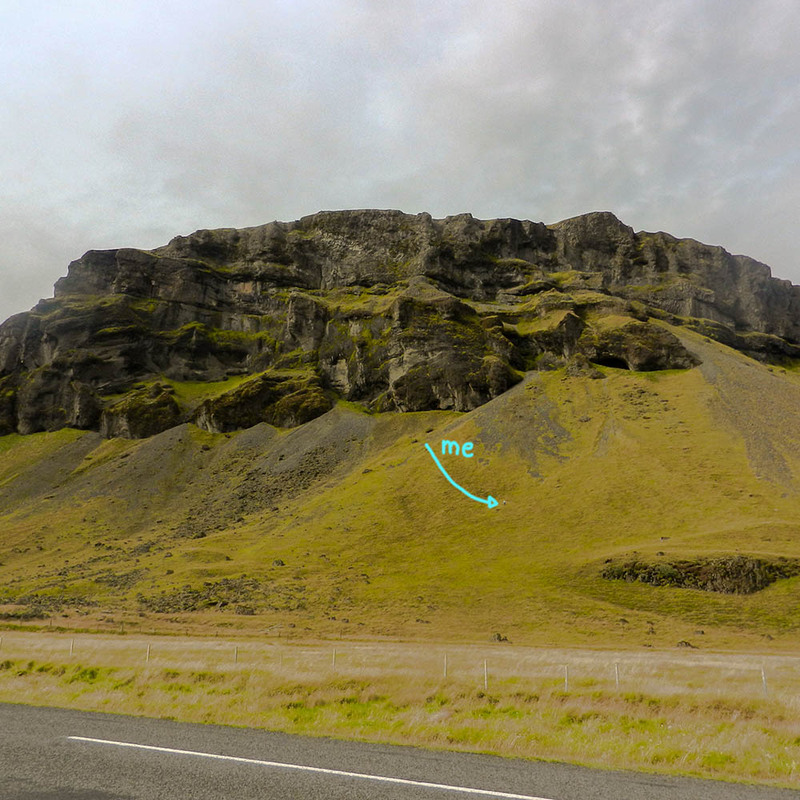 That scene was filmed on the single road that leads into the small village of Seyðisfjörður. 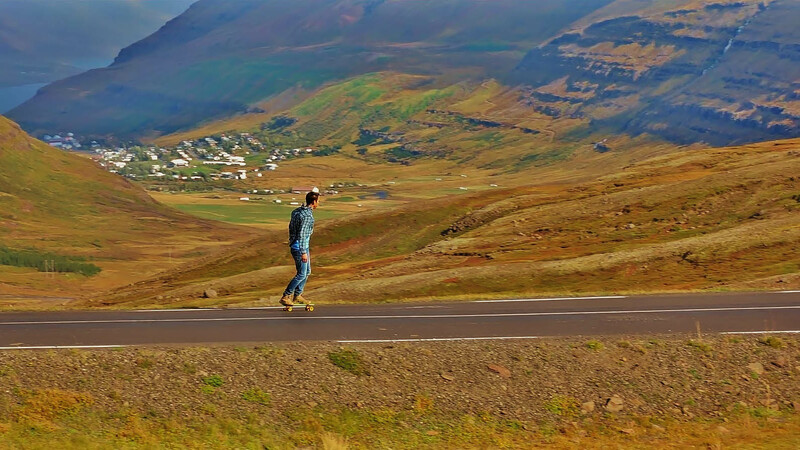 The road is a few miles long, with massive elevation change, it is pretty hard to longboard down. What kind of outlets does Iceland Have? 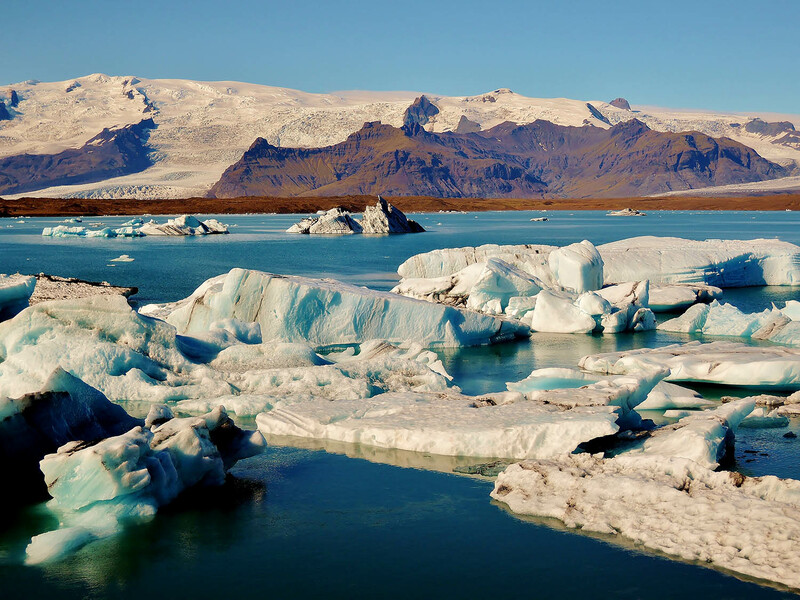 What's the currency in Iceland? 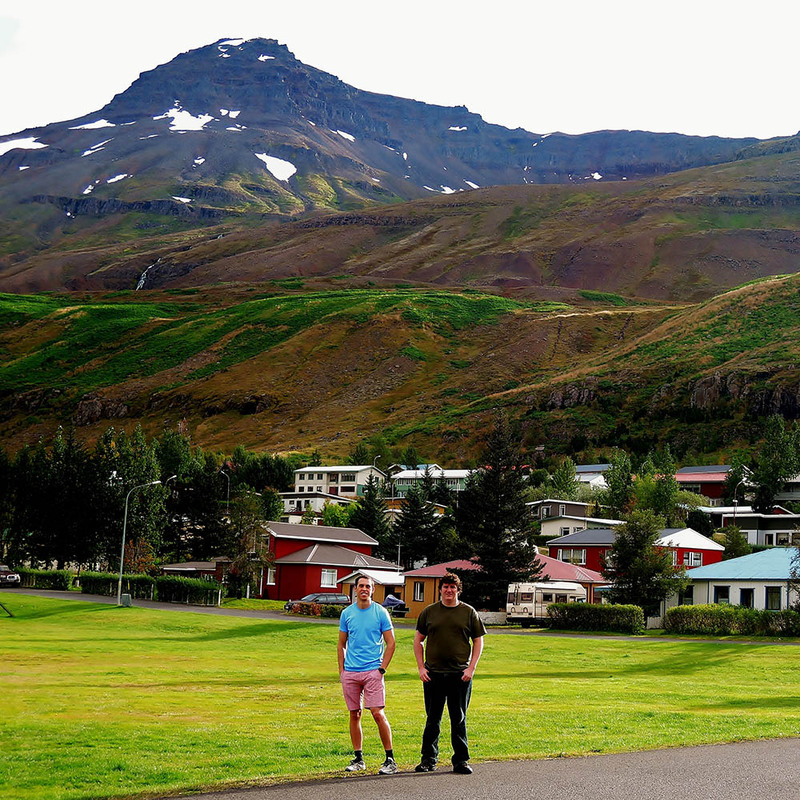 Can Americans rent a car in Iceland? Yes, I rented a car with just my debit card, and showing them my license. I believe I put a security deposit down with my debt card too. 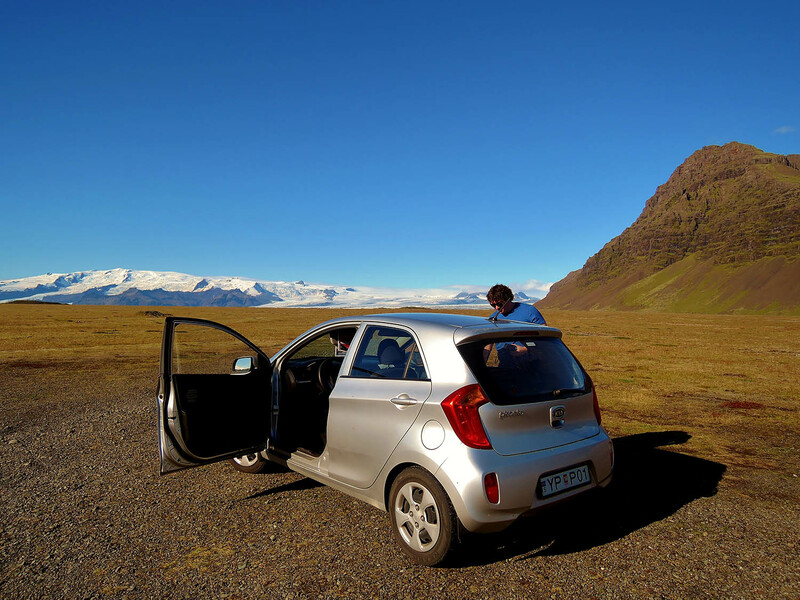 How much does a rental car cost in Iceland? Day of, walk in price was $50 USD per day for us, for the tiniest, slowest stick-shift car they had. It would probably lose a race to a quality lawn mower. What camera did you use to take these pictures?